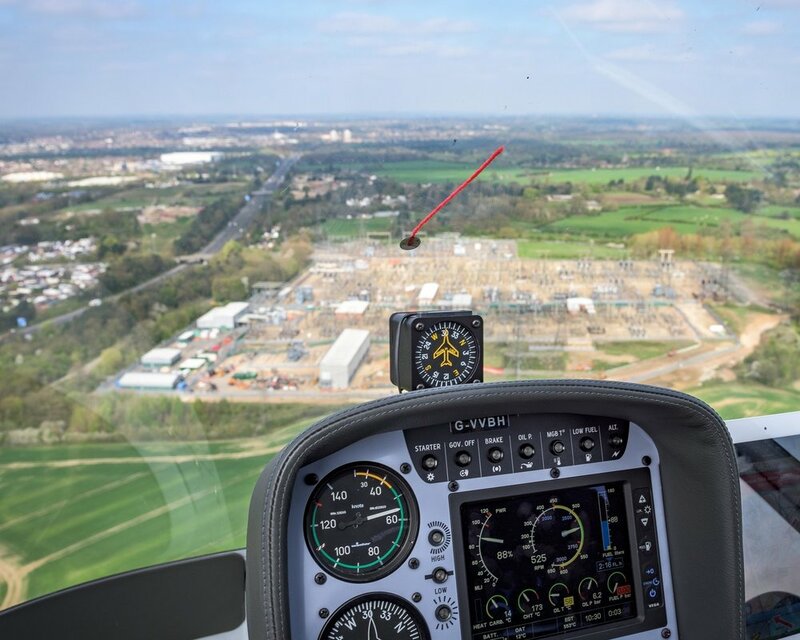 We offer helicopter trial lessons and training courses at London Elstree Aerodrome - click the links below to see more information and please contact us if you have any queries. To view all of our services, including aerial filming & tours, please return to the homepage. A perfect gift and an exciting day out! 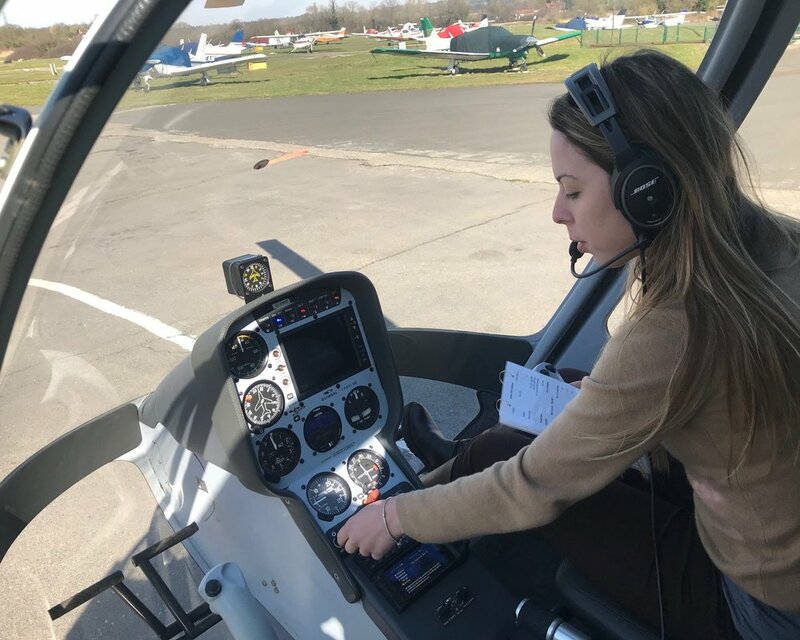 Be given the controls of a helicopter and pilot yourself around the Hertfordshire countryside with a qualified instructor; take in the beautiful views before returning to the airfield to have a go at hovering. Gaining your helicopter PPL is a fantastic achievement and, although challenging at times, a rewarding experience that gives you the freedom to take to the skies. A PPL enables you to fly on your own and carry passengers, as long as you are not getting paid for it. What could be better than getting paid to fly?! Whether your dream is to fly corporate VIP charters, give breath-taking tours or save lives with the air ambulance, VVB is well suited to provide all helicopter commercial pilot training requirements to suit any career path. To fly different kinds of helicopter, you require a 'type rating' for each specific type on your licence. The type rating course is designed to familiarise you with the differences in aerodynamics, mechanics, technology, operation and performance, together with an understanding of the differences in emergency procedures. 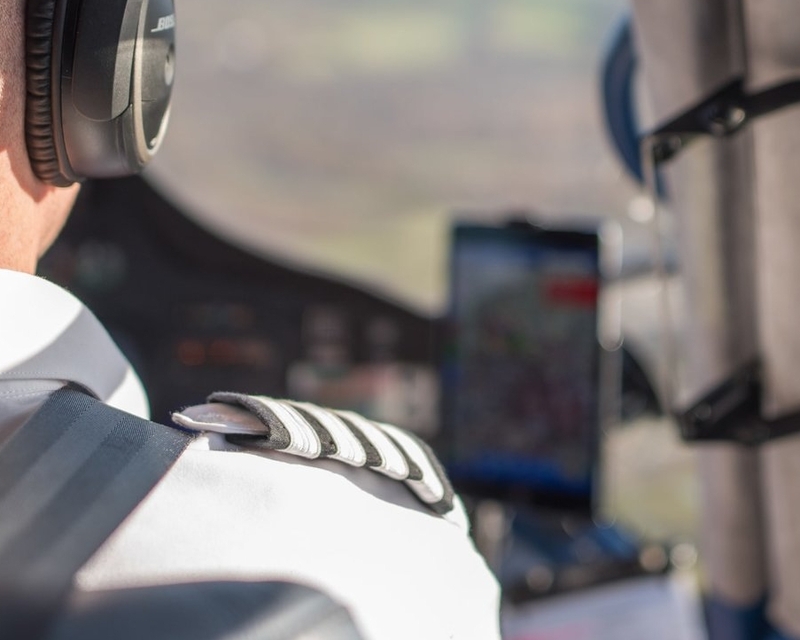 The EASA instrument rating is one of the most valued qualifications a helicopter pilot can attain - it will allow you to fly in cloud and other low visibility conditions. You will be assured of outstanding advanced training with VVB Aviation in a friendly, professional manner at our Elstree aerodrome base. The world is your oyster; our helicopters are available for self-fly hire 7 days a week. Make the most of your licence to fly and get heli-adventuring! Instructors are available to assist with any aspect of your flying. If you feel that you need a refresher course, call and book it in with us. Help and advice is always at hand. Whether you are progressing through the career of being a pilot or just wishing to learn to fly a new type of aircraft, VVB is pleased to offer turbine training. To start-up and manage a turbine engine is a new skill and, if carried out incorrectly, could lead to a huge amount of engine damage. Our turbine training is carried out on a Bell 206 helicopter and we also have an AS355 available for multi-engine ratings. 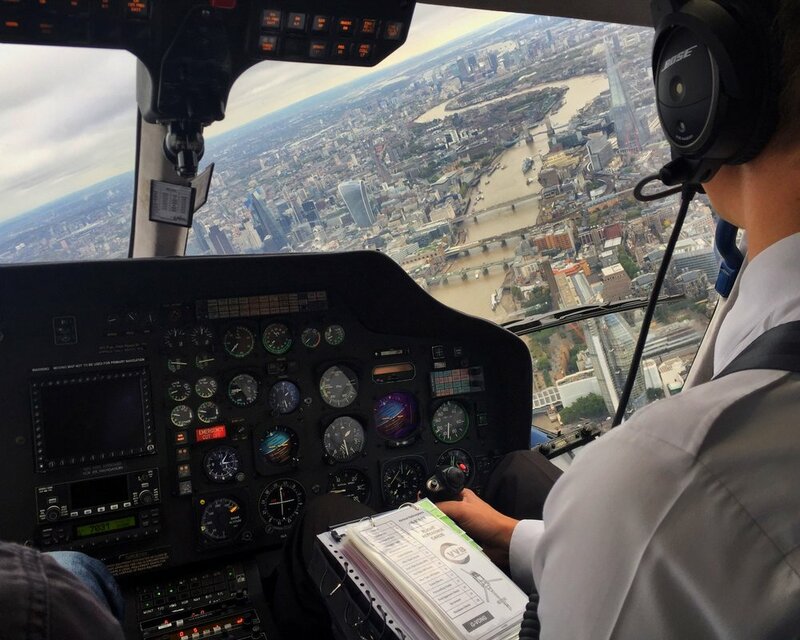 VVB aviation is situated only 10 minutes flying time away from the heart of London, making us perfectly located to offer training on one of the best routes a helicopter pilot can fly! There are many different routes, radio frequencies and restrictions making it slightly more challenging than flying through normal controlled airspace. We recommend taking a few lessons with one of our instructors so that you can gain the confidence and experience to safely conduct the flight on your own. TAKE TO THE SKIES AND FLY OVER THE SPECTACULAR SIGHTS! 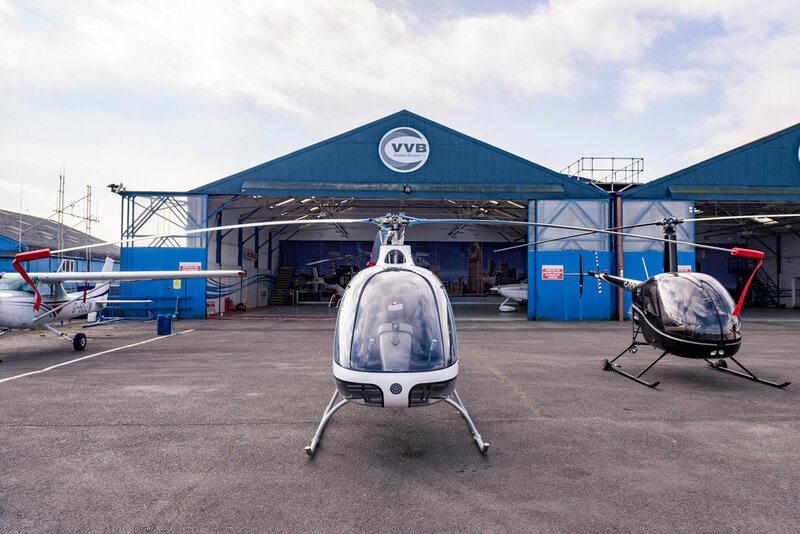 Taking off from our base at Elstree Aerodrome, VVB Aviation will fly you along the River Thames for an unforgettable view of London! Throughout your tour you will see the world’s most famous landmarks. These include The Houses of Parliament, Buckingham Palace, St Paul's Cathedral, The London Eye, Tower Bridge, The Shard and more! Gift vouchers for 2019 available.